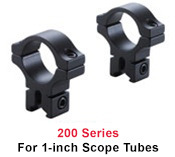 200 Series - designed to fit 1" diameter scope tubes and 3/8" or 11mm dovetails. 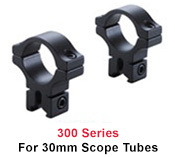 300 Series - designed to fit 30mm scope tubes and 3/8-in or 11mm dovetails. 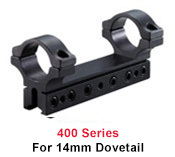 400 Series - designed to fit 1" scope tubes and 14mm dovetails.